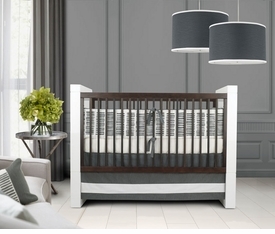 The designer crib bedding at BabyBox.com can make your nursery into the place of your dreams. 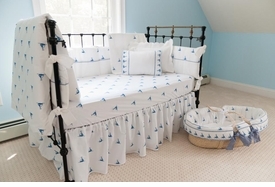 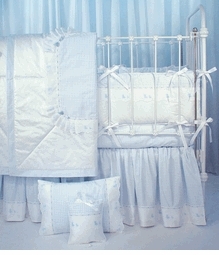 Choose from crib linens, bassinets and custom made bedding of the finest quality. 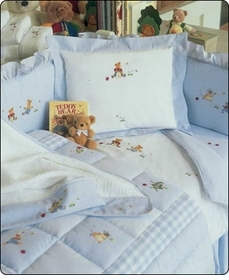 Featured crib bedding designers include Lulla Smith, Doodlefish, Gordonsbury, Art for Kids, Sterling Anabella, Sweet William, Henry & Henrietta, Little Bunny Blue, Dwell Baby, Baby Bella Linens, DucDuc, Blauen, Lullaby and Whistle & Wink. 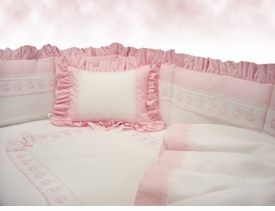 All bedding is custom ordered for each client and ships directly from the designer. 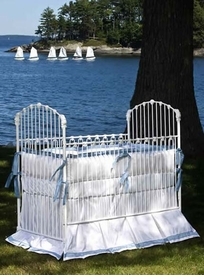 * Complimentary Ground Shipping on all Designer Crib Bedding collections, please enter coupon code "freeship" at check out. 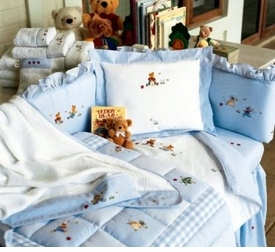 (This offer excludes individual bedding accessories purchased without bedding sets and may not be combined with any other promotional offers).